Maggie Chapman is expected to take up the role in January. 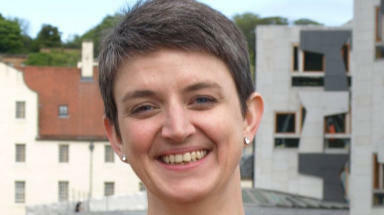 The co-convener of the Scottish Greens has been elected rector of the University of Aberdeen. Edinburgh City councillor Maggie Chapman replaces dairy tycoon Maitland Mackie, who died in May after a short illness. Ms Chapman, who describes herself as a “socialist and a feminist”, is expected to take up the role in January. She beat law lecturer James Steel to the post, securing 1415 votes to Mr Steel’s 695. Ms Chapman pledged to improve student housing, campaign to keep student tuition in Scotland free, negotiate better services for students, create a “strong academic community” and ensure the university has a “positive impact on society”.